Fresh Direct told us that they eliminated the avocado pits. 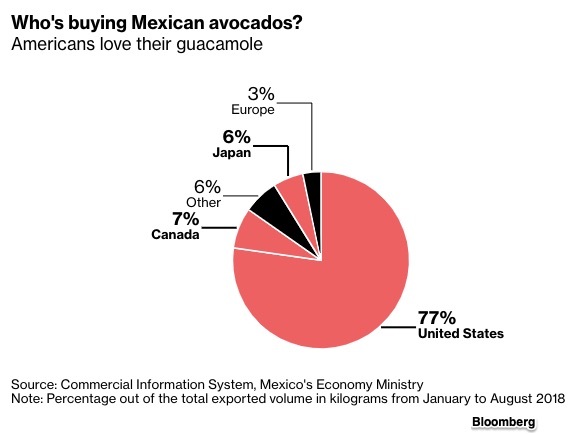 However, avocados have been in the news. 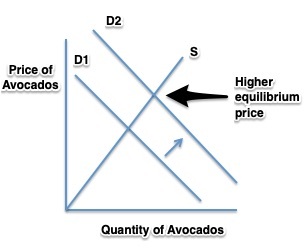 On a supply and demand graph, the demand curve can shift for several reasons. Most typically we have a change in income that alters what consumers are willing and able to buy. Also altering what we buy, it is possible that the price of a substitute or a complementary product can change. Where are we? Yes, it could be the pits if the border closed. 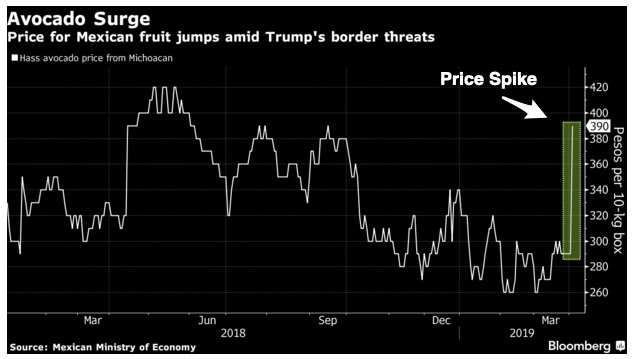 My sources and more: Bloomberg and Marketwatch had the facts on avocado prices.